SOUTHAMPTON, PA, USA, August 5, 2016 – Aircrew Training Systems (“ATS”), a business unit of Environmental Tectonics Corporation (OTC Pink: ETCC) (“ETC” or the “Company”) today announced the award of multiple contracts totaling $10.6 million for customers in Southeast Asia. a GYRO IPT-III flight simulator. A multi-year contract for equipment maintenance is also included. 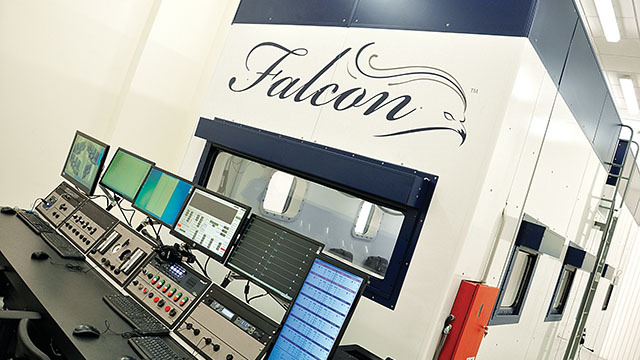 The award of the FALCON altitude (hypobaric) chamber contract highlights ETC’s well-known and established track record of delivering long-lasting and reliable equipment to the aeromedical community for nearly fifty years. The GYRO IPT-III contract includes three high-fidelity interchangeable cockpits that can be easily inserted into the device or can function as fully operational, stand-alone simulators. Designed for versatility, the GYRO IPT-III is an ideal and cost-effective trainer that meets the most critical spatial disorientation, basic and advanced flight training needs for both fixed-wing and rotary wing platforms. “ETC is proud to provide a diverse variety of quality aerospace solutions designed to meet the ever-changing requirements of our customers’ aircrew training programs.” states Alper Kus, Vice President – ATS Business Unit Manager.